The American Lock No. 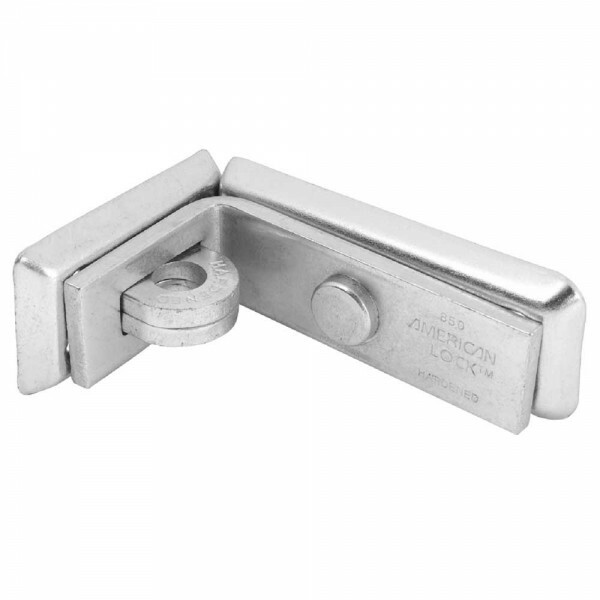 A805 90 Degree Angle Bar Hasp features a 4.25" (108mm) long zinc plated hardened steel body for added strength and weatherability and accepts shackle sizes up to 0.5" (11mm) in diameter. Ideal for corners, trailers, van doors, sheds, storage buildings and vending machines, the hardened steel staple resists cutting, sawing and hammering, providing maximum security. Mounting hardware is included for easy installation.